Hopefully in the hustle and bustle of the big fall releases, everyone hasn't lost sight of Sleeping Dogs, the little Hong Kong open-world crime game that could. At least, I still play the game off and on while rotating between others. Square Enix is hoping you haven't forgotten, too, as they're releasing yet another chunk of downloadable content for the game. The DLC for Sleeping Dogs has kind of been a mess—there are a seemingly innumerable collection of "packs," all of which contain various costumes and weapons, none of which feel all that essential. But a couple of downloadable items are meatier: The "Nightmare in North Point" pack added a goofy zombie storyline, and the just-announced "Zodiac Tournament Pack" will give the game a whole new island. Join Wei Shen for the fight of his life in the second gameplay-extending add-on pack. Invited to an exclusive tournament on a hidden island off the coast of Hong Kong, Wei must overcome the best-of-the-best as he takes on fighters from across Asia in a fight to the death. The Zodiac Tournament invites you to become the dragon and unleash your fists of fury! 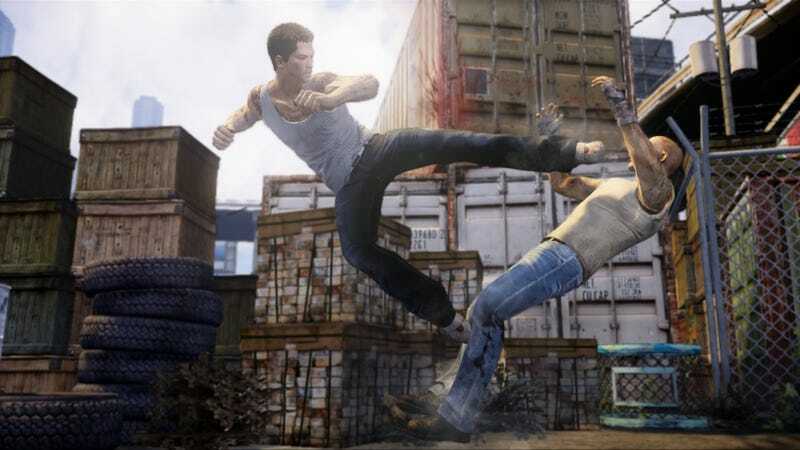 I've always enjoyed the fighting tournaments in Sleeping Dogs, even though the enemies are all a little bit too open to being tackled. But it's challenging, brutal, and very fun. I haven't even had a chance to check out the zombie stuff yet, but I can tell there'll be a time when I sit back down with this game and see everything else it has to offer.